Now finally, the first public presentation in English showing the exciting results of the three-week Giant Sable Capture Operation recently completed in Cangandala National Park, home of Angola’s famous but critically endangered antelope known locally as the palanca negra, Thursday, October 15 at 8:00 PM, at the Viking Club. 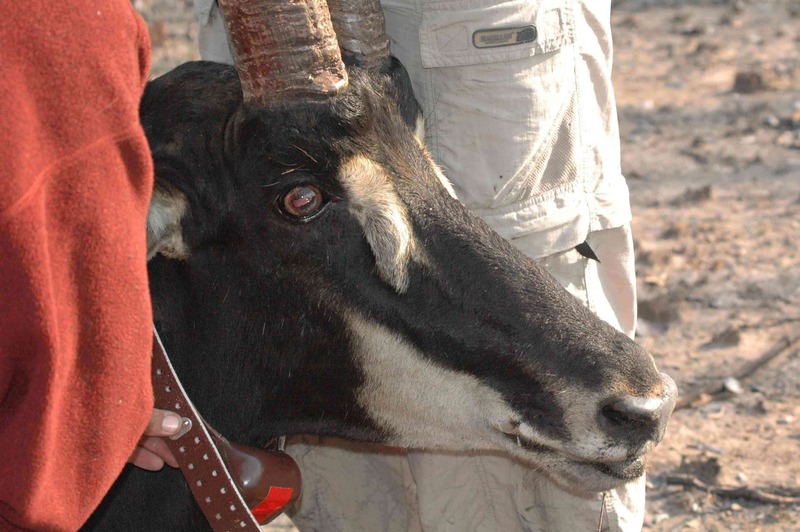 Pedro Vaz Pinto checks a giant sable male darted during the Capture Operation. Photo courtesy Barni O’Hara. Our guest presenters are Pedro Vaz Pinto, Environmental Advisor for the Catholic University Centre for Scientific Studies and Research, and Project Assistant, Biologist Sendi Baptista. For the past seven years Pedro Vaz Pinto has been trying to prove that the giant sable, which exists nowhere else in the world except in the province of Malange did indeed survive civil war, and more recently, cross breeding, and poaching. To see a map of Malange and for more information and photos, scroll down or visit our Giant Sable page by clicking on the link in the menu above or just click here. Male giant sable being collared for future tracking. Photo courtesy Barni O’Hara. Everybody is welcome to attend this presentation which will be in English. In close cooperation with the Viking Club, this event is offered free of charge. If you would like to have a map showing the location of the Viking Club, click here. It is on the main floor of the Predio Maianga at Rua Marien N”Guabi, No 118 in Maianga, across the street from the new Panela de Barra restaurant. 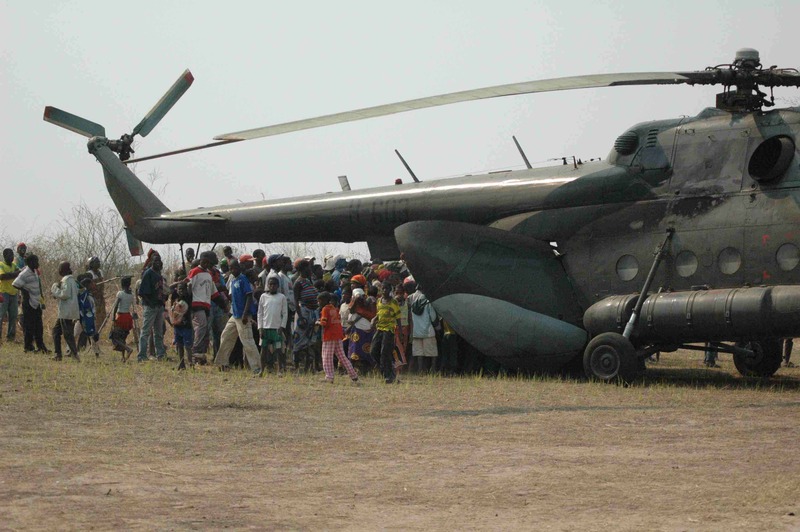 Excited villagers gather around military helicopter translocating a male giant sable. Read details on Giant Sable link, above. Photo courtesy Barni O’Hara. I have been following the monthly updates on the giant sable story with amazement and fascination. I was wondering when the next update might be published, as it has been a few months. So keen to hear how the antelope in the enclosure are doing as well as the wild collared bull. Its so amazing to see so much about Angolan nature here on you website. Definitely planning an expedition up there as soon as I have the means. Angola has so much natural history to offer to a young south african biology student! Thanks for hosting the updates on your website, its fascinating.